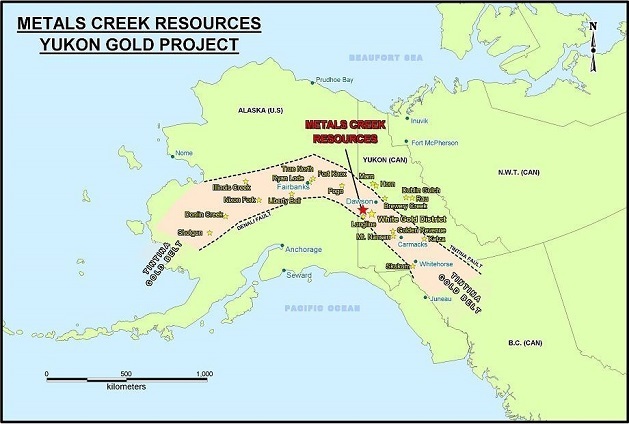 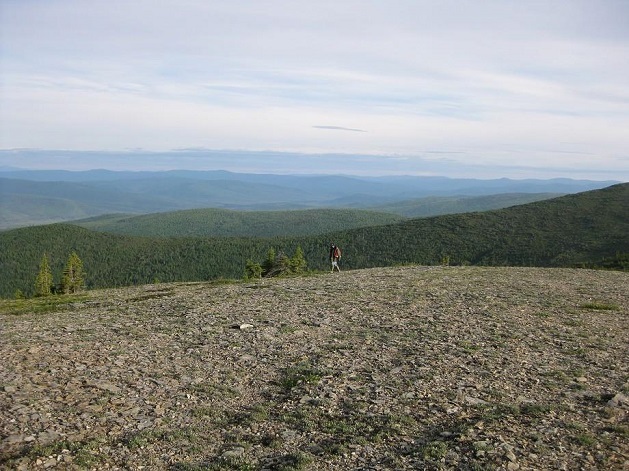 Metals Creek recently acquired through staking, 212 claim units in four separate blocks in the Dawson Range gold district. 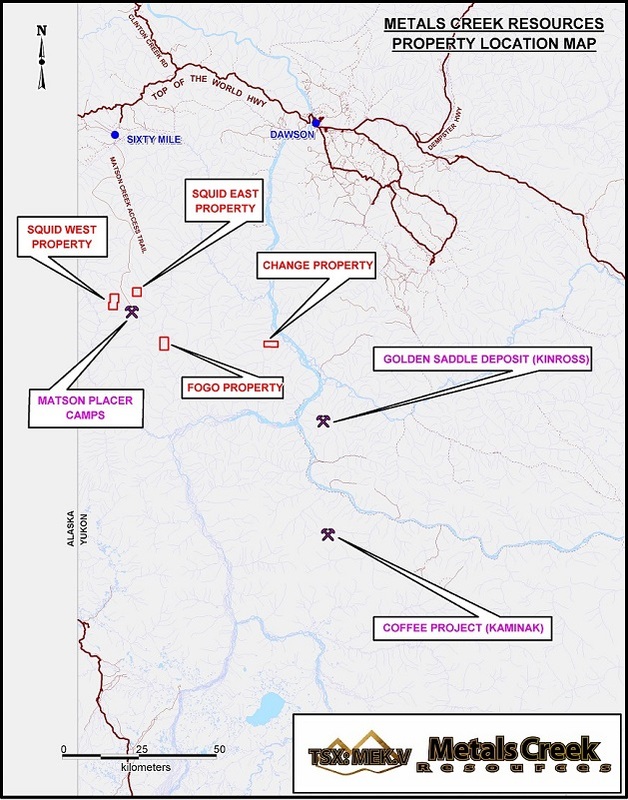 Three of the claim blocks are located in the Matson Creek area and the fourth block is located west of the Yukon River, 40 km north of Kinross’ White Gold property and Kaminak’s Coffee Project. The claims were staked to cover a number of gold geochemical anomalies, interpreted to be underlain by favorable geology similar to that hosting the recently discovered gold deposits in the White Gold area. 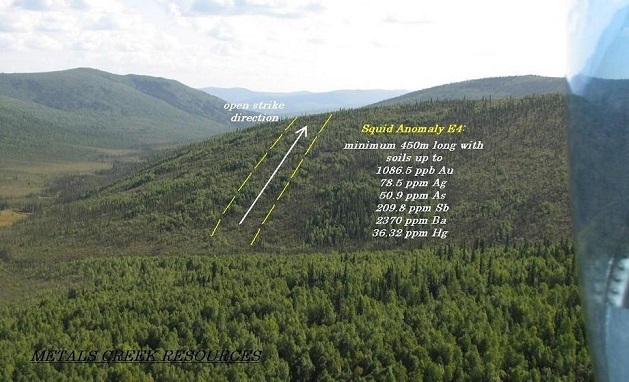 In July of 2011, the company initiated an exploration program consisting of prospecting and soil sampling resulting in the discovery of a prospective soil anomaly on its Squid East property including strong pathfinder elements typical for the white gold district. 2012 saw additional infill soil sampling resulting in the identification of a strong gold and pathfinder soil anomaly. 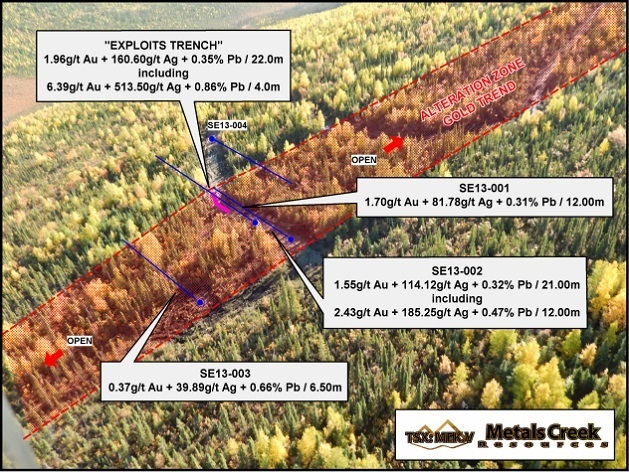 With a promising strong soil anomaly, the Corporation initiated in 2013 a trenching program resulting in the discovery of the exploits zone with assays including 1.96 g/t Au, 160 g/t Ag and 0.35% Pb over 22m resulting in a brand new discovery. A 400m drill program was initiated shortly after the trenching program resulting in a down hole intercept of 1.55 g/t Au and 114 g/t Ag over 21.0m. 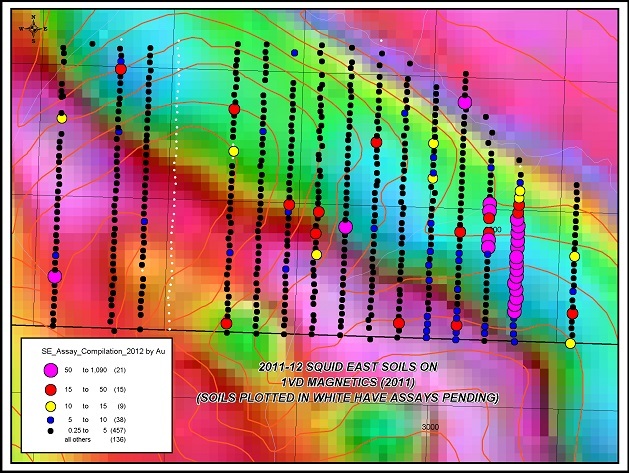 This new zone of mineralization is completely open both along strike and at depth. 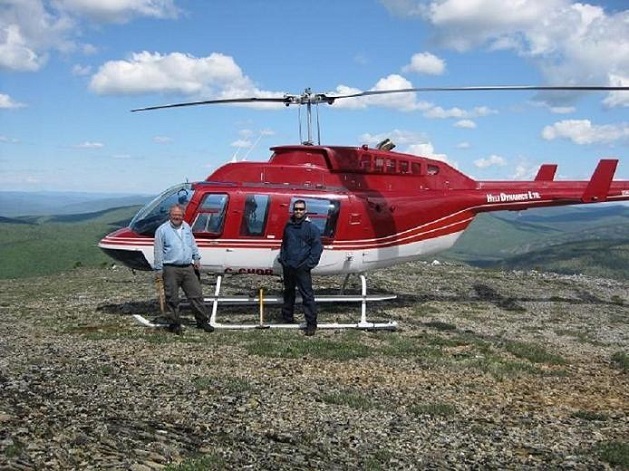 MEK has recently conducted some preliminary bottle roll testing to evaluate the leaching characteristics of the weathered gold bearing material. 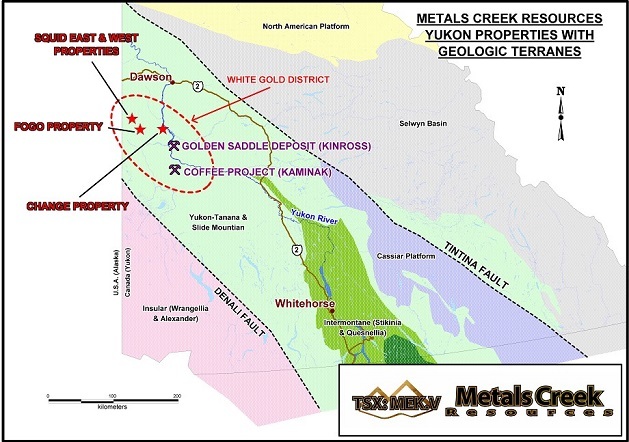 92% Gold and 81.75% Silver recovery was achieved exhibiting the potential for the weathered gold bearing material to potentially be processed through heap leaching.